Hong Kong has an extensive - and often surprising - fine dining scene, with an impressive array of Michelin starred restaurants producing the very best in global cuisine. 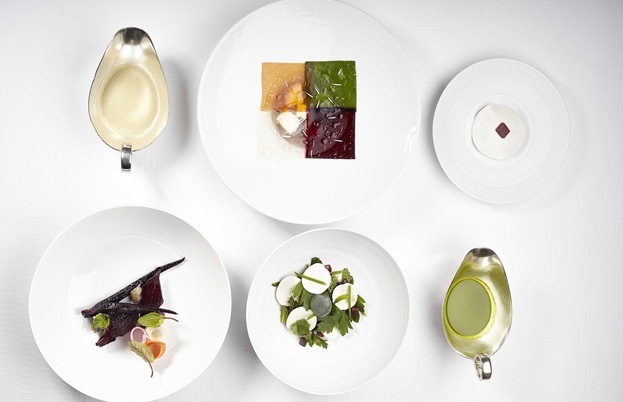 Hailed by Michael Ellis of the Michelin Guides as “an undisputed leader in the international culinary landscape”, Hong Kong boasts 64 Michelin-starred restaurants and a fine dining scene characterised by creativity and cultural openness. With the very best in quality ingredients, cooking, service and atmosphere, the choices range from Cantonese – both classic and brilliantly inventive – to world-class Italian and French. Highly recommended is Lung King Heen at the Four Seasons Hotel, which in 2009 became the world’s first three Michelin-starred Cantonese restaurant. Headed by Executive Chef Chan Yan Tak, he is the only Chinese chef to achieve this accolade. The restaurant lives up to its name, which translates as ‘View of the Dragon’, boasting magnificent vistas of Victoria Harbour which look even more spectacular at night when the undulating silver-leaf ceiling reflects Hong Kong’s glittering skyline and harbour lights. The intricately designed, traditional Cantonese menu couples remarkable textures and flavours with delicately inventive presentation. 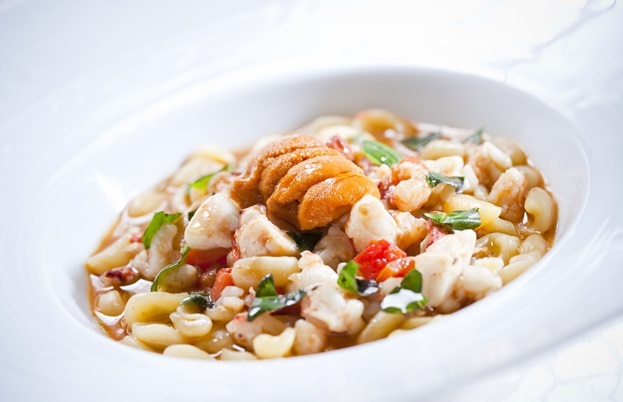 House specialities include exceptional regional seafood, with a variety and breadth of species rarely found elsewhere. Lung King Heen is also the only three-star restaurant offering a dim sum menu, with an extensive seasonal dim sum lunch that is best enjoyed during a relaxing weekend. New for 2015 is their unique culinary tour, ‘In the Footsteps of a Dragon’, which explores chef Chan Yan Tak’s creative influences and remarkable produce suppliers and includes a visit to his Michelin-starred kitchen. 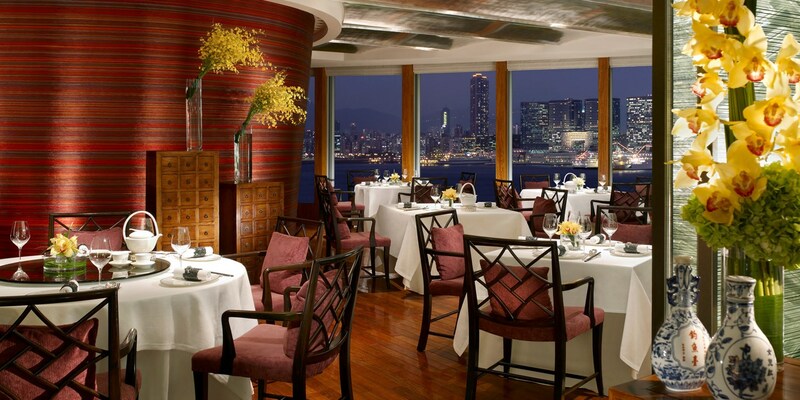 Also producing exceptional Cantonese cuisine is the restaurant Duddell’s, which recently won its second Michelin star. Found atop the Shanghai Tang Mansion, this restaurant offers not only beautiful, high-end food, but also a social destination for those who appreciate the arts. Complete with interiors as artistic as the pieces that hang on the walls, a fantastic bar and a garden terrace perfect for elegant entertaining, this eclectic restaurant has a range of dining options including dim sum, tasting menus and a much-talked-about weekend brunch. Another top quality restaurant with stunning views over the harbour is Pierre, located on the 25th floor of the Mandarin Oriental Hotel. Currently holding two Michelin stars, this intimate restaurant – which seats only 60 people – produces outstanding, modern, French cuisine with imaginative interpretations of classic dishes. Highest quality ingredients, complex innovative gastronomy and beautiful presentation are at the heart of Pierre Gagnaire’s menu, which stimulates both the senses and the intellect. Specialities include the dish ‘Perfume of the Earth’ in which all the ingredients come from the soil and are smoked with hay in front of the guest, allowing them to smell, see and imagine as well as eat. Another must-try on a gastronomic tour of Hong Kong’s best fine dining is 8 ½ Otto e Mezzo Bombana, the new, personal ‘ristorante’ of acclaimed chef Umberto Bombana. 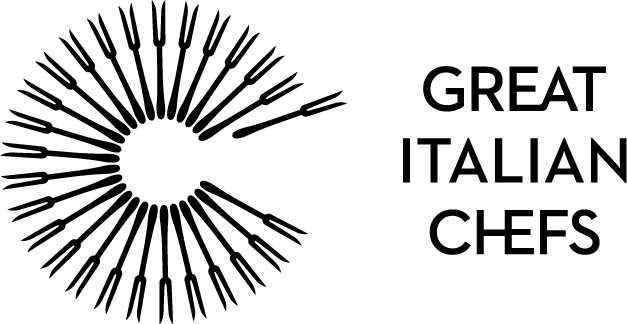 The first Italian restaurant outside of the home nation to receive three Michelin stars, the menu here is classically decadent with uniquely modern creations. The dedicated seafood degustation menu here should not be missed, nor should the white truffle dishes which pepper the menu when this earthy treasure is in season. The restaurant has its own cheese aging ‘cave’, meaning cheeses are served at the very peak of perfection, with a range of unusual choices not found elsewhere in Hong Kong. One of the best Italian wine lists and cocktail menus in the city round off this remarkable restaurant’s offerings. 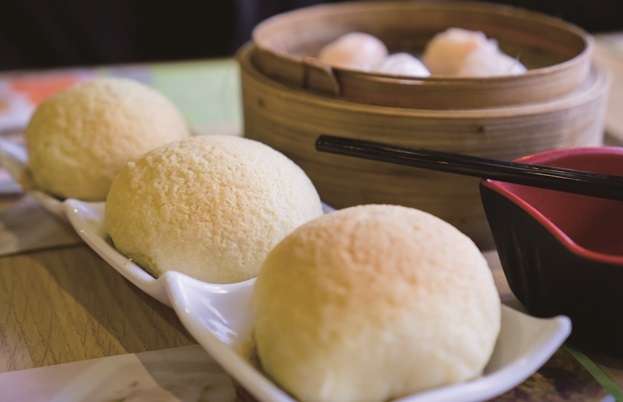 Last, but not least, dim sum eatery, Tim Ho Wan, offers an altogether different proposition to the fine dining experiences already described. The man behind this menu is the former dim sum master at the Four Seasons Hotel, Mak Pui Gor, who worked in the above mentioned three-star Lung King Heen before striking out alone. With a very small number of seats and the world’s cheapest Michelin-starred food, you could be in for a lengthy wait, but the pork buns (cha siu baau) alone are said to be worth the sacrifice. 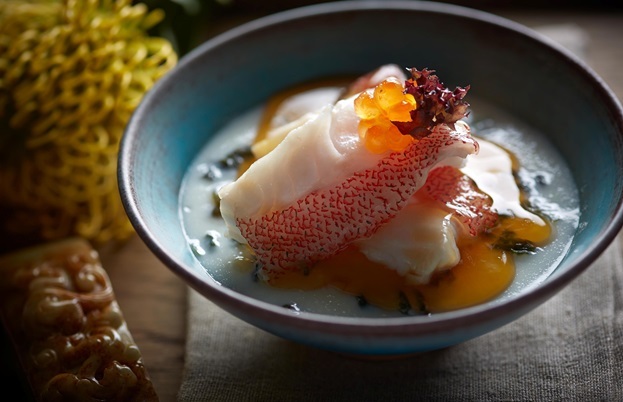 Read more about the exciting foodie scene in Hong Kong. Cathay Pacific flies non-stop to Hong Kong from £529*, with five flights a day from London Heathrow and four flights a week from Manchester. For further information, visit www.cathaypacific.co.uk or call 0208 834 8888.